Nelson Piquet Junior topped the second practice session after setting a single lap time in the dying seconds of the session. Piquet set a time of 57.909, which beat Sam Bird, who had been at the top of the timings for the majority of the session, by 0.013 seconds. Bird was one of the first drivers to set a time using the full 200kw of energy available in practice and qualifying. The Virgin Racing driver set the pace early with a time that was slower than Sebastien Buemi’s practice one time, but faster than all the early 200kw times. Five minutes into the session, and Buemi was the first driver to bring out a yellow flag when the Renault driver crashed into the wall, causing front wing damage. He was prevented from limping back to the pits when Simona de Silvestro stopped close behind the e.dams car, avoiding a collision but prolonging the clear up. Halfway through the session, and it was the two DS Virgin cars at the top, with nobody having beaten the times they set early on in the session. Bruno Senna had managed to finish the top three with a time less than three tenths of a second slower than Bird. Next to cause chaos on the track was Stephane Sarrazin. 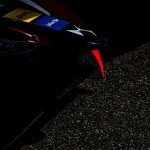 The Venturi driver had been on a quick lap when a glancing blow had caused suspension problems, sending him straight into the wall at the next corner. The red flag was brought out to recover the stranded Venturi, stopping the session. 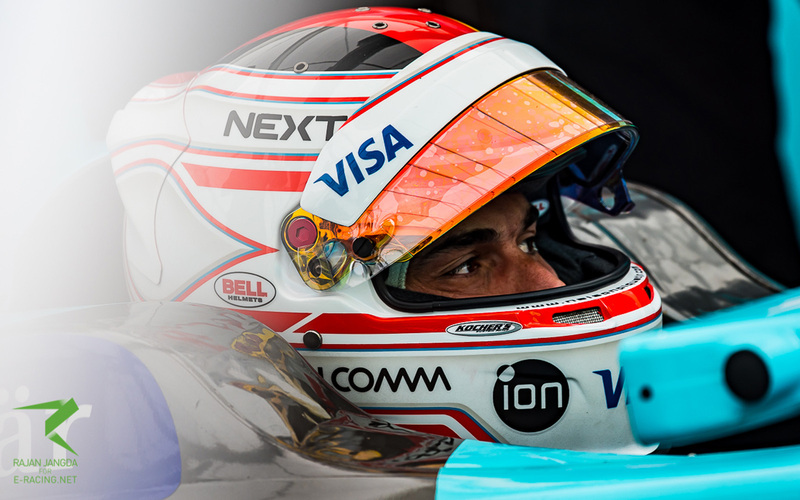 NEXTEV’s Nelson Piquet still hadn’t set a time, though. 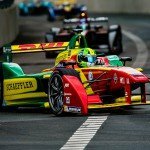 The battery on the Brazilian’s second car had failed, meaning they only had one car for the session and qualifying, and the team had decided to save the car for a qualifying run at the end of the session. With NEXTEV not really showing the pace so far this season, a last minute fastest lap was the last thing anybody expected. With five minutes left, the green flag was back out and it should have been a last minute dash for most of the field. Certainly, that was Lucas Di Grassi’s plan, but Team Aguri’s Rene Rast had other thoughts, stopping on track and bringing out the yellow flag in the middle sector. It didn’t look like anybody was going to be able to better their time, though Bird did manage fastest ever sector times in both the clear sectors. In the dying seconds, though, Piquet was out on his flying lap, setting the fastest middle sector of anybody and putting in a 57.909 to top the session.